Over the past few months, both Canon and Nikon have released their first full frame mirrorless cameras, Canon with the EOS R and Nikon with the Z7. 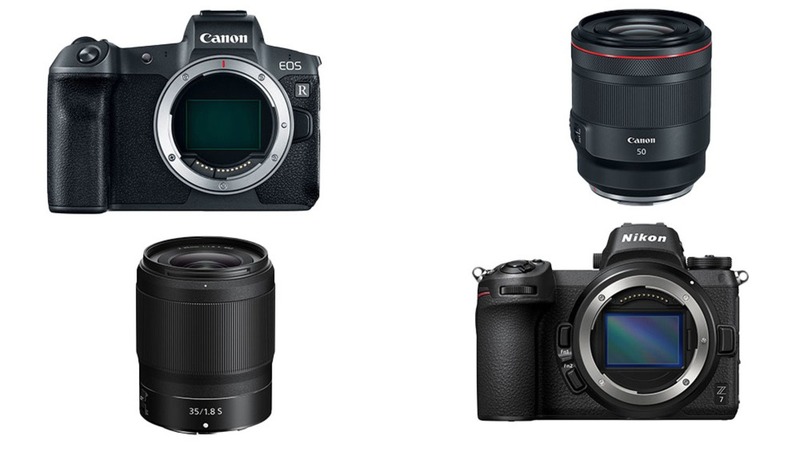 Canon markets the EOS R as a sort of prosumer/enthusiast-level camera along the lines of the 6D Mark II and priced to match at $2,300 for the body — very similar to the 6D Mark II's price on release. 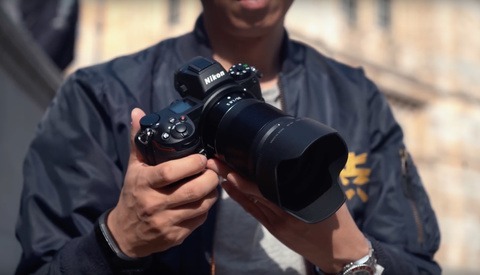 This contrasts the Nikon Z7, which is being touted as a sort of mirrorless D850, and its $3,400 price tag suits this comparison very well. Comparatively, Nikon’s currently available lenses for the Z7 are the 35mm f/1.8, 50mm f/1.8, and the 24-70mm f/4. Now, I’m not saying that any of these lenses are bad lenses; they’re probably fantastic pieces of glass. But the 1.8 apertures really showcase that Nikon doesn’t necessarily seem to be targeting professionals with their lenses yet. 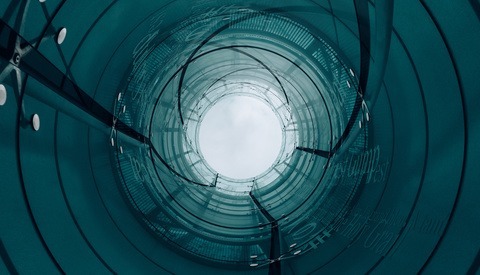 They seem to be starting out by introducing a professional body and mostly prosumer lenses, while Canon seems to be releasing a prosumer body and professional lenses. It’s definitely an interesting approach from the both of them, but whose is better? In my personal opinion, I feel that Canon’s approach is the proper route for now and the near-future (though in five or ten years, everything should all balance out). I’ve heard a great saying: “marry lenses, date bodies." Canon seems to really be banking on this outlook for their new mirrorless system. With the EOS R is seemingly targeted towards enthusiasts, their lenses are priced and specced towards professionals, and with their rumoured 14-21mm f/1.4L, Canon seems to be going all in on people buying the EOS R with the plan to upgrade in a year or two but buying their lenses to stay in the bag for much much longer. On the contrary, with the Z7, Nikon seems to be selling their pro-level camera first and banking on people either adapting their current glass with the FTZ mount adapter or buying lenses that are mostly going to get replaced once the 2.8/1.4 variants get released. I feel that both are respectable, smart approaches, and it will be interesting to see how the market reacts. But really, don’t we all win by having such fierce competition giving us better tools? I am all in favor of marrying lenses. Time will tell no doubt. It really just comes down to what is right for you. Wait, the Z7 is now a pro level camera? I thought that one of the reasons it didn't have dual card slots is because it's not really a "pro" level camera. Aren't Nikon's pro cameras $5,000 plus. No, the single slot is why it's not a wannabe-pro fantasy camera. Different. You want to tell that to the professionals who are already using the Z7 for commissioned, well paying assignment work? I agree. I'm being a bit sarcastic as that was one excuse I heard for it not having dual card slots. There's no doubt that pros would be using the camera. I have driven 3,383,838 miles in .my 87 jeep without one flat tire. i threw away my spare tire years ago to make room for more gear. I advise you to do the same. Live a little. This is a terrific analogy. What others do when they shoot is fine with me. I've considered a professional shooter someone that will do whatever he/she can to ensure that the client receives the best chance for a pro product. If I was paying for a wedding, I would ask the photographer if the camera he is using has two cards. His/her answer would mean the difference between a yes or a no. Yes, of course, I would have checked references and portfolios before contacting the photographer. Sorry, if the shooter has a card failure at a critical time in the wedding such as the bride and father coming up the aisle, the shooter can't stop the ceremony and do a retake. Shooting a one off event is WAY different than shooting a portrait. I don't do many paid shoots, but my camera has two slots and even if I'm shooting pictures at a zoo, both cards are taking in the data set on RAW. Yes, I did have a card fail (SD card in a 5DIII) but the CF card was fine. No data lost, lesson learned. In all the millions of shots I have taken, only one cheap card ever failed and I was still able to retrieve data from it. Had an interface fail and that affected both card slots. Also dropped more than one camera in the water killing the body and lens, cards always survived. These days where cameras are getting more and more complex, the card is probably one of the strongest links. *edit - a little research and discovered there was also a CF card that pulled ff the same trick. You could use it in two modes, normal and mirrored. Obviously capacity halved in the latter mode. Well, I haven't shot millions of shots, so my card failure is more of an issue than your failure. And my data was not retrievable, at least with the software I used. Granted, since I didn't have to panic because the CF card had the same data, I didn't go to extremes to get the card to work. It was a Sandisk, by the way, and not cheap by any stretch. I only point out that it can happen. My question is why would a pro shooting a one off event like a wedding risk his/her reputation with a one card camera when there are plenty of two card cameras? The card may not be the weakest link, but why chance it? If the Z7 is the enthusiast model what is the Z6? Canon released their enthusiast model first, pro model will come later as they have stated. Nikon's real pro model, $5,000 plus, will come before 2020 summer Olympics in Japan. 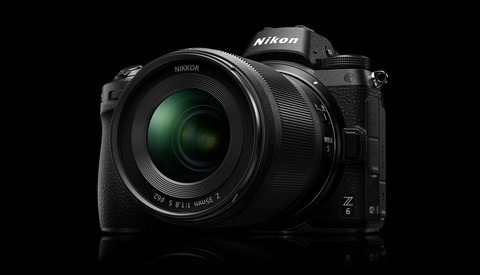 nikon did say there would be a pro level Z camera thats the alternative to the single digit dslr. I wonder what that one will cost. I would say that nikon pricing will be the same as their current flagship at the least. they are quite greedy as of late. Do you think that the next will be a mirror less D5? I would commend them if they can pull it off, but it's a tall order. Sony's A9 is a terrific camera, but its build quality isn't in the same ball park as the D5 or the 1DxII, for that matter. I just bought what I hope will be my last F mount lens today, Fall rebates started. Ideally the new Z mount glass will be loads better. "Of course Canon is right. Because Canon will be the king of the mirrorless market. /s"
And that made me happy. I am quite pleased that Canon and Nikon decided to keep their form more or less as is. I've never moved to Sony because they feel miserable in hand. Subjective for sure, but it's a deal breaker for me. David I believe you are missing a key point and that is weight. Many users are moving to Mirrorless to reduce weight. I hear this every day. If this is the case why would a Canon mirrorless user want to lug around the new 2 lb RF 50mm f1.2 lens that increases the weight they are carrying? They might as well stay with a DSLR. Nikon on the other hand announces a Z mount 50mm f1.8 that weights 14 oz's. The Z mount 24-70 weights 1.10 lb and the 24-70 f2.8 weights 2.3 lbs. They obviously realize the mirrorless market wants lighter and smaller lenses. The f.95 Noct Z mount lenses that was announced obviously shows Nikon can produce faster professional lenses but is that what the bulk of the market wants ? The fallacy with full frame mirrorless cameras is they are lighter, the problem is a 70-200 f2.8 still weights the same. By using an FTZ adapter you can put all the big heavy glass you want on the camera. What was missing in the market is smaller, lighter and sharper lenses. This is exactly the market Nikon has addressed and I believe the sales of the Z7 / z6 will bear this out. Call your favorite local Nikon dealer and ask them about the ratio of Z7's with 24-70 vs Z7 bodies they have sold. The number of Z7 kits is 10 to 1. To me, this is just another indication that Nikon has taken the right path with a lighter more compact lens strategy.